When Revealed: Each player must randomly discard cards from his hand until he has no more than 3 cards in his hand. 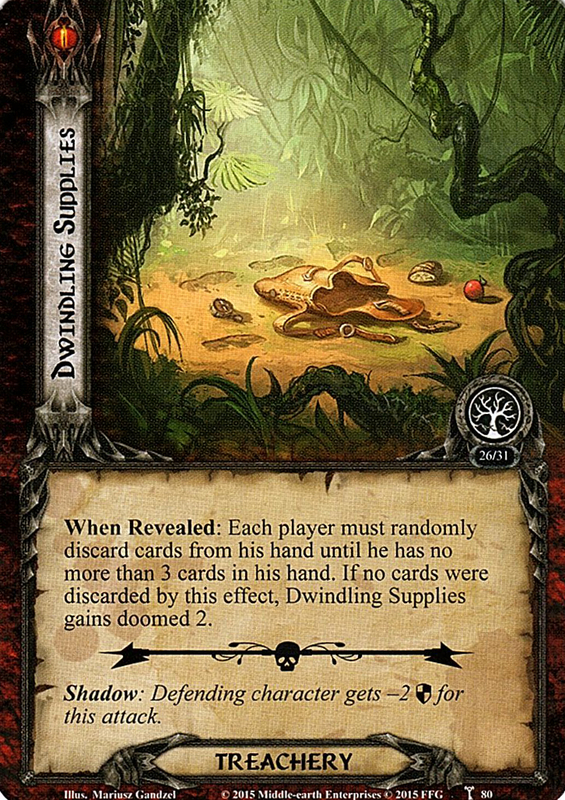 If no cards were discarded by this effect, Dwindling Supplies gains doomed 2. Shadow: Defending characters gets -2 for this attack.